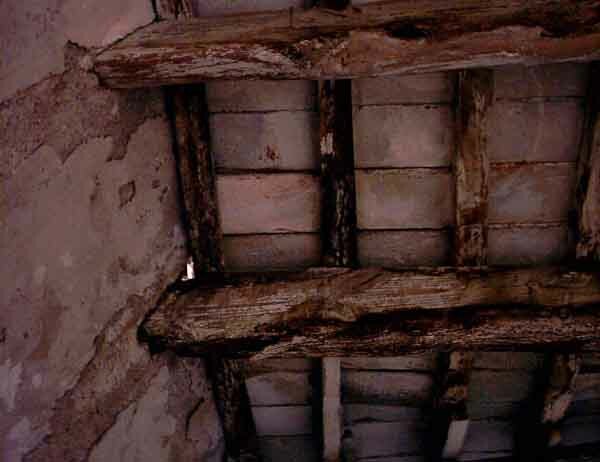 As you can see in the following pictures, the condition of this house is far from great. 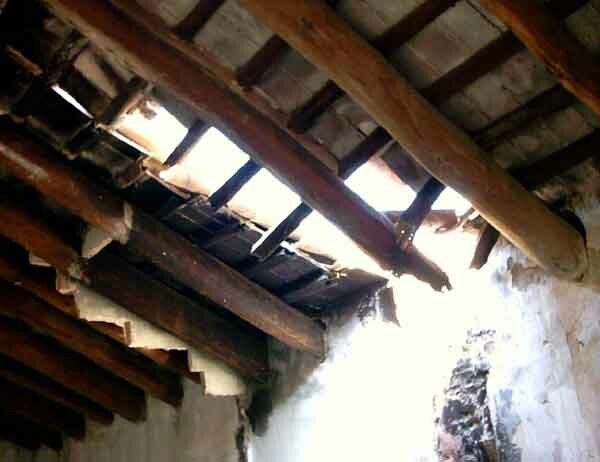 The good thing that can be said is that the roof didn't collapse yet, although it won't take too long to fall down if not fixed. In fact, most of the roof of the additions already collapsed. The pics show two holes where two of the chimneys were. One of them is pretty bad. 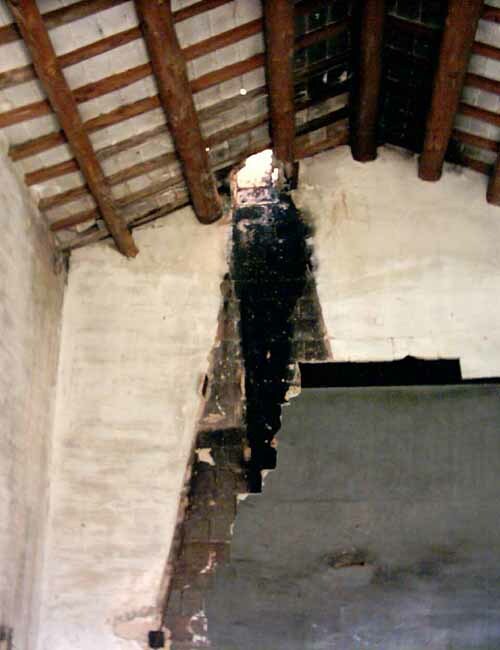 It looks like somebody used the fireplace when there was no conduit for the smoke any more and two beams burnt. 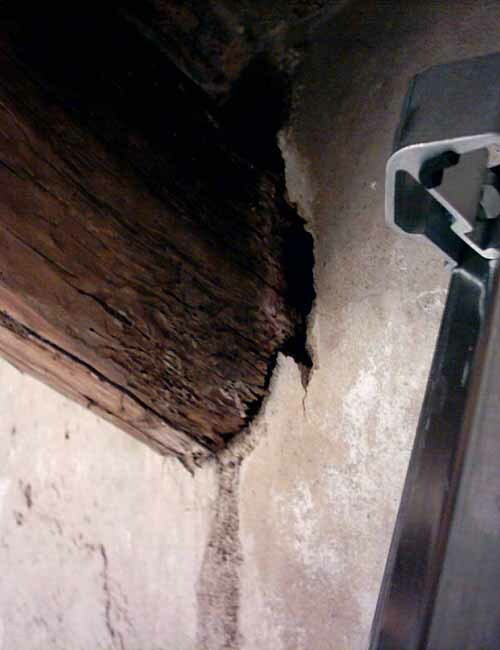 Also, many of the beam heads have been attacked by rainwater and are rotten. 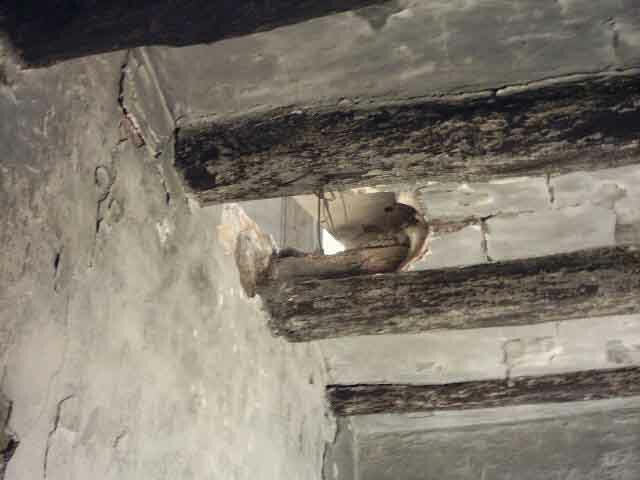 The 5th picture shows a hole on the floor of the second storey. 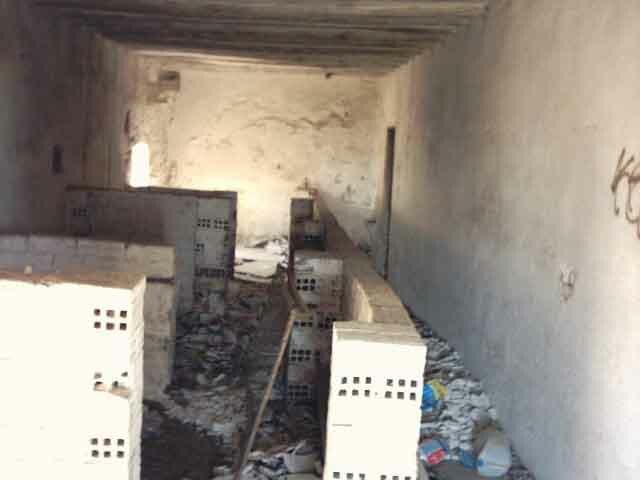 The 6th picture shows the divisions the last tenants made to keep some pigs. We'll get rid of those eventually.